Vox pops any time in the run up to the elections – ask people whether they’re voting etc. Film at local polling stations – record what happens on voting day. Go along to the opening of the postal votes – interview staff, take photos etc. 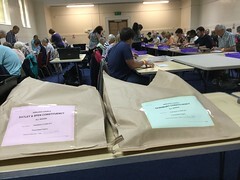 Film at the counting of the votes – interview candidates, staff, councillors etc. 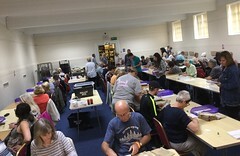 Film our elections outreach work in Kirklees – see how people are encouraged to register to vote and find out why it’s important. Create your own short videos, photos, audio or blogs on the theme of elections and voting. If you’d like to get involved, we’ll give you some help. For example, we can arrange for you to film at polling stations, and we’ll go with you to the election count and upload your videos whilst you record some more interviews. We’ll also give you some advice about how to report on the elections. Please get in touch soon if you’d like to join in.